This dvd picks up where Phase 1 Vol 12 left off with 2 hours of instruction on escapes and counters to grappling. Class 31: Touch Reference – Become faster and more accurate as you learn to fight by feel. Class 32: Long Range Limb Destructions – Prevent an attacker from getting close to you and still do damage to them. 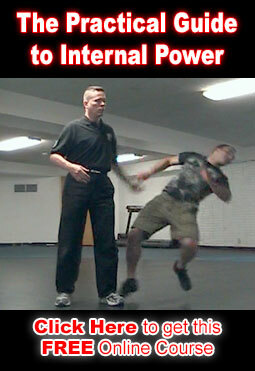 Class 33: Stop Hits – Stop an attacker in the tracks with these power full strikes. Class 34: Spot Hits – Learn to analyze an attackers fighting method and attack their weaknesses while destroying their strengths. Learn to defeat Thai Boxing. Learn the fastest way possible to hit 3 times per second. Easily destroy common Elbow, Knee & pressure point attacks. Learn to Combine the Upper & Lower Body Arts. You will learn to take advantage of the weaknesses in the human body with the destructive & paralyzing methods taught on this DVD. The new Phase 1 dvd is now available. It includes classes 19 – 22 and it marks the halfway point in the Phase 1 series.